Mayer’s Fort is a small mountain village backed by a fierce stone walled keep. Initially a small mountain keep for a retiring adventurer, the addition of a monastery outside the keep walls slowly encouraged a small village to build up around the keep and across the river on the grassy verge. 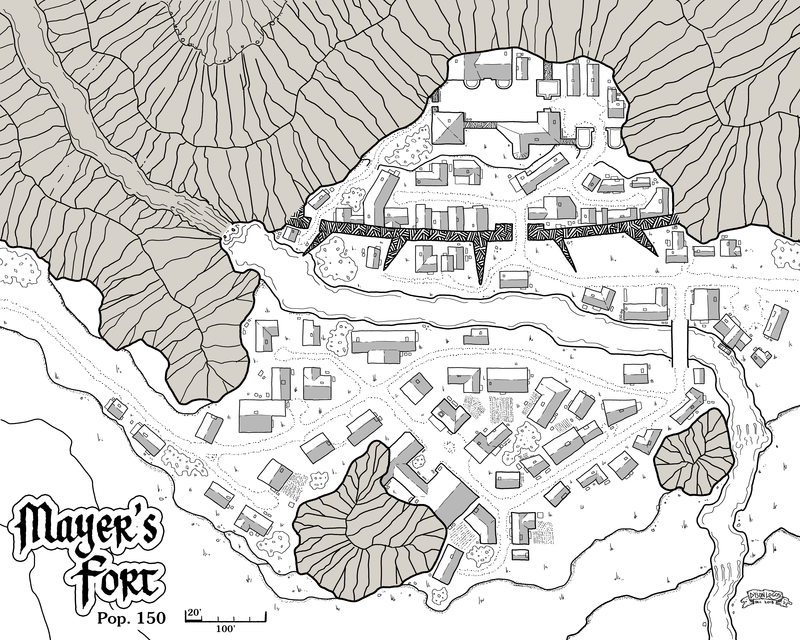 Mayer’s Fort lacks an inn or tavern, and instead social life in the small community centres around the open garden at the monastery (the H-shaped building in the bottom middle of the map) and the bakery across the road from it. With only 150 people, and a nobleman’s keep here, there are very few visitors that need a place to stay who don’t either already know someone in town (that they have probably come to trade with), or who have high enough social standing to seek the lord’s hospitality. On the other hand, the town is high-brow enough to offer a magic shop (not where you buy magic items, but where you can get spell components, foci, and the other things that wizards, druids, and clerics shop for), a bookbinder, and an illuminator – all based out of the monastery and the building just southeast of it. 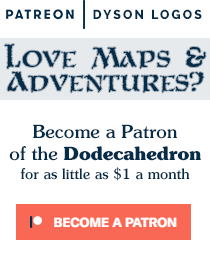 The maps on Dyson’s Dodecahedron are released for free personal use thanks to the support of awesome patrons like you over on Patreon. Every month 400 patrons come together to make these releases possible. You can help too in order to keep the flow of maps coming and to improve their quality – and even get a map of your own! I bet you can find a room through Airdnd or VRBOSR.